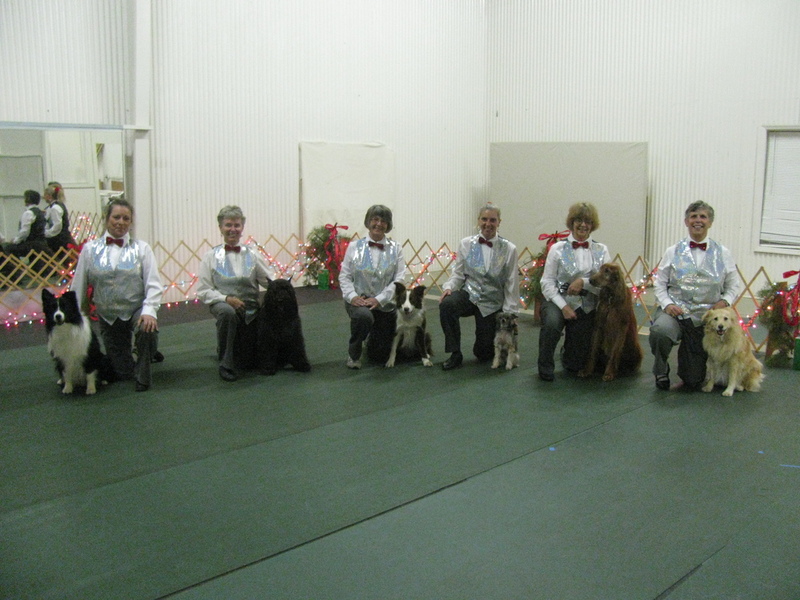 A Circle of Friends is an MDSA affiliation for members to meet and support each other by forming area groups, small or large, of dog trainers interested in the sport of canine freestyle. These Circles are listed below and will be updated periodically. It's easy to start a Circle of Friends. You only need a minimun of three (3) MDSA freestylers with one acting as a contact person. The listing is free and may include a brief description of your Circle. If you are interested in starting or posting a Circle of Friends in your area, please contact MDSA with your information. We offer freestyle demonstrations in and outside of our area. Seminars and ongoing classes are offered indoors. We would love to have you join us in this exciting new venture. We are an active freestyle group that trains in the Houston area. Group classes and private lessons are offered indoors. We work toward a variety of annual demonstration opportunities including the Reliant Park World Series of Dog Shows and Pet Expo. We also have members that participate in MDSA video events. Private lessons, class instruction, group routines, workshops and demonstrations.